Our very own Sheila Spear, Registered Nurse informs us of preterm births and what each of us can do, including going for a walk! Each year during the month of April, nearly 700 communities across the country come together to raise money and promote awareness of healthy pregnancies and healthy babies. This large-scale effort is the March for Babies walk put on by the March of Dimes to fund research that helps babies begin healthy lives. In the United States, preterm birth – when a baby is born prior to 37 weeks gestation – is the leading cause of infant mortality. Approximately 450,000 babies are born preterm in the U.S. each year, and 12 percent of those babies do not survive. Sadly, the U.S. trails other developed nations in its rates of babies born preterm. Those who do survive are at a much greater risk for developing other serious health complications, including but not limited to respiratory distress syndrome, intraventricular hemorrhaging, apnea, and infections and illness due to underdeveloped immune systems. Why a pregnant woman goes into labor too early is not always understood. In some instances, however, preterm birth is preventable. Educating women of childbearing age (15-44) on leading a healthy lifestyle and early signs of preterm labor have been shown to have a significant impact on reducing preterm birth rates. Women with health insurance more than likely have access to prenatal care, as well as programs and services to help reduce the risk of preterm birth. Most health insurance providers offer additional support programs and women are encouraged to take advantage of these resources when they are available. For example, PacificSource Health Plans offers a Prenatal Program for its members designed to encourage early and ongoing prenatal care, and to provide support to pregnant women in understanding their healthcare benefits. While preventive measures are critical steps we as a community can take toward reducing the rate of babies born prematurely, there is still much that we, as medical professionals, do not understand about why preterm births occur and everything that can be done to prevent them. By supporting organizations and events like the March for Babies walk, you can be part of a nationwide effort to fund further research aimed at helping moms have healthy, full-term pregnancies. 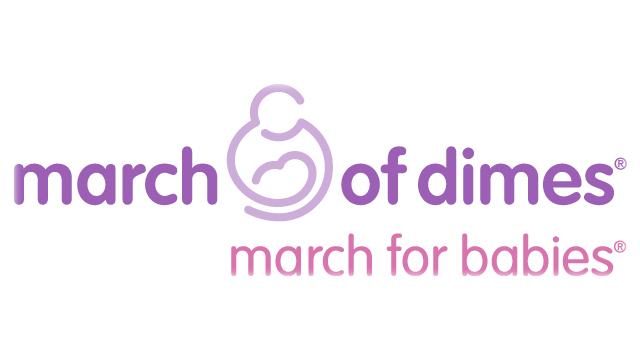 Consider donating to or taking part in March for Babies. The 2015 events are noncompetitive 5-kilometer walks, and multiple events are being held throughout Oregon, Idaho, and Montana. Visit marchforbabies.org for more information. Hopefully your April Fool’s Day was full of good humor as it kicked off National Humor Month! The joyful sound of laughter is far more contagious than a cold. Laughter brings people together and increases happiness across the board. Laughter and humor are a powerful cure-all to stress and pain; they help you focus on the joy of life rather than its burdens. Who doesn’t feel better after watching a funny movie, laughing with a friend or going to a comedy club? With so much power to help heal us, Patch Adams had the right idea – laughter is sometimes the best medicine! Laughter relaxes the whole body. A good, hearty laugh relieves physical tension and stress. It can even leave your muscles relaxed for up to 45 minutes after you’re done laughing. It will also increase your energy and help you stay focused. Laughter boosts the immune system. Laughter helps to take away the stress hormones and gives you more immune cells and infection fighting antibodies which all help to improve your resistance to disease. Laughter triggers the release of endorphins. Endorphins are your body’s natural feel-good chemicals that promote an overall sense of well-being. They can even temporarily relieve pain. Laughter helps protect the heart. Laughing increases blood flow which can help protect you against a heart attack and other cardiovascular problems. Laughter helps lessen stressful emotions. You can’t feel sad, angry, or anxious when you’re too busy laughing. Humor shifts perspective. Who hasn’t had an experience when, at the time, it seems like the end of the world – yet days later, when you tell the story, you can’t help but laugh at what happened? A humorous perspective will help you not feel overwhelmed. Next time you feel like your world is ending, shift your perspective and see how you feel. When you are faced with stress or difficulties, a laugh – or even just a smile – can go a long way to making you feel better. Here are 30 more ways you can add humor into your life. Is it time to seek help? If depression is affecting your relationships, your daily activities, or how you think and feel, it’s time to consider seeking help. For more information, read Telltale Signs It’s Time to Treat Your Depression, by Margarita Tratakovsky, M.S. Most people don’t know the difference between a heart attack and sudden cardiac arrest. I recently met Angela Creason, a sudden cardiac arrest survivor, who helped explain the difference to me. Ange la told me that your heart was like your house – in your house you have your electrical system and your plumbing system. When you have a plumbing problem in your house, it’s usually because you have a pipe that is clogged or blocked. The same is true when you have a heart attack – one or more of your coronary arteries (pipes) is blocked. Over time, a buildup of various substances, including cholesterol, will narrow the artery and create the blockage. You are still conscious during a heart attack. You can feel a variety of symptoms ranging from being tired, having a cold sweat, being dizzy, to having pressure in tightness in your chest and arms all the way up to your jaw. These symptoms can vary from person to person, but if you feel any (or a combination) of these stop and call 911 immediately. When you have an electrical problem in your house, wires short circuit and then BOOM! No electricity throughout the house. The same is true for your heart. The cause of sudden cardiac arrest is usually an abnormality in your heart rhythm (arrhythmia). This arrhythmia can result in your heart beating too fast or too slow or in an irregular fashion. Often these changes in rhythm are momentary and harmless but if your heart suddenly goes from one rhythm to another and can’t get back on track it can lead to sudden cardiac arrest – your heart just completely stops. The scary thing about sudden cardiac arrest is that there are no symptoms. During sudden cardiac arrest you collapse and are no longer conscious. No pulse or breath. If you are an onlooker, first call 911, then preform CPR. If you don’t know CPR, remember this – do hands-only CPR by pushing hard on the person’s chest to the rhythm of the song “Stayin’ Alive.” Also, if a portable defibrillator is available, use it. Now you know a little bit more about your heart. If you would like more information about Heart Attack Awareness check out this month’s Wellness Toolkit.